The bi-annual Analog Patterns Festival created by the Grafische Werkplaats is looking in 2018 at the patterns work inside the fine & graphic arts. Festival Analog Patterns takes place from 25 May until 16 June. 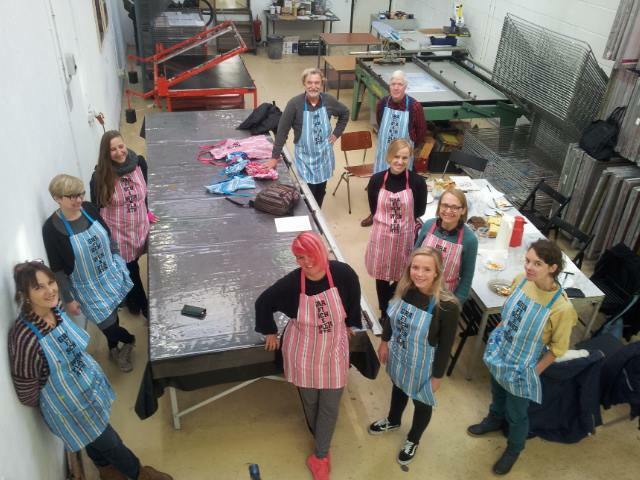 They will come in spring to the Grafische Werkplaats to create an exhibition. The kick-off of this project is a conference on Friday 6th April from 13:00 until 17:00 in the theater De Steeg (Westeinde 165, The Hague). In a series of TED-talks presentations, connoisseurs from different disciplines talk about the theme patterns. Shortly after is the opening of the sources exhibition in the Grafische Werkplaats with presentations of examples & works of the speakers. With keynote speakers: Arthur Crucq, Art historian & currently connected with the University of Leiden; Jan Willem Tulp, Data Experience Designer in the Hague. From his freelance business, TULP Interactive, he develops and designs data visualization for clients all around the world. Dunja Hak, conservator in the Museum Escher in Het Paleis; Christie van der Haak, visual artist. Artists collaborating with the exhibition: Rachel Bacon, Suzan Drummen, Anne Geene, Christie van der Haak, Ingrid Greijn, Rabi Koria, Bureau RNDR, Masaaki Oyamada, Wouter Willebrands. Festival Analog Patronen is possible by Gemeente Den Haag, Fonds1818, Gravin van Bylandtstichting, Prins Bernhard Cultuurfonds Zuid-Holland, Stichting Stokroos, STROOM and all participants. Vrijwilligers: Aqeela Chaudhry, Lidewij Corstiaans, Dan Dickhof, Tanja Engelberts, Camille Francoise, Gert-Jan van der Kooij, Thea Kors, Gerard van Kuilenberg, Sandra Rachel, Lourdes.